The Benjamin Franklin Classical Charter Public School (BFCCPS) of Franklin, MA is building a brand new campus on a 35 acre site in Franklin’s Financial Park. 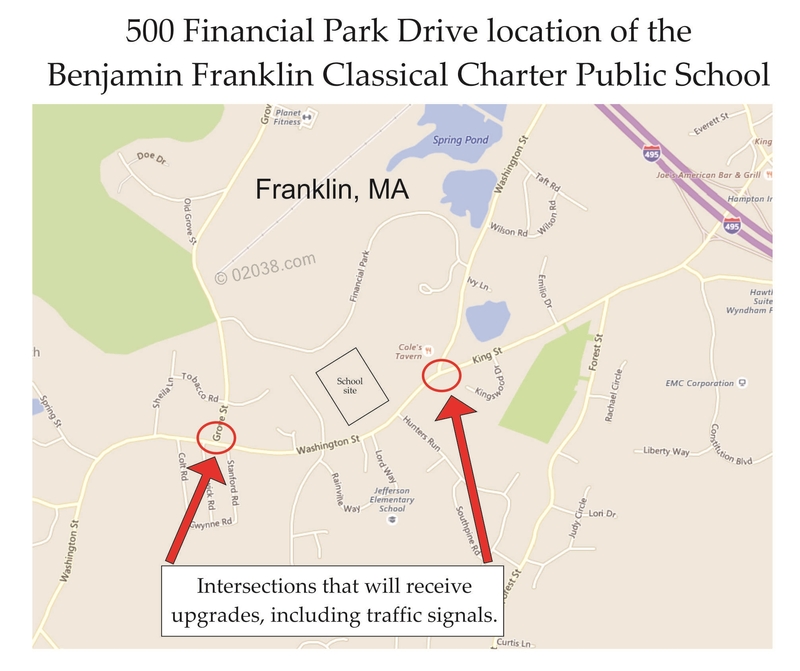 The school’s new address will be 500 Financial Park Drive, Franklin, MA, effective for the 2019 – 2020 school year. Also underway in Financial Park is a new 328,000 sq ft warehouse and office building complex. The two adjacent, but unrelated, projects represent substantial capital investments in the Franklin community. The two new developments are triggering collateral improvements to two already busy intersections on Washington Street in Franklin. According to a Single Environmental Impact Report issued in 2017 by the engineering firm Epsilon Associates, Inc., both the intersections of Washington and Grove Streets and Washington and King Streets will receive traffic lights and other upgrades in order to better accommodate the traffic generated by the two new uses. 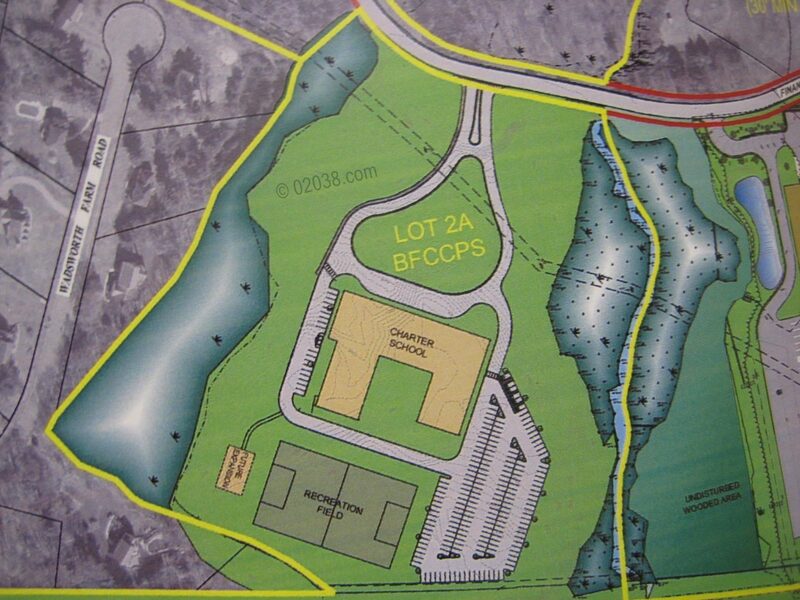 The BFCCPS campus will include an over 70,000 square foot school building, nearly 200 parking spaces, as well as recess areas and play fields. A two story U-shaped building will house classrooms, an auditorium, a gymnasium ,a cafeteria and administrative space. A central courtyard will be surrounded by the “U”. Construction is slated to be completed by June 2019. The new school campus will be operational for the 2019-2020 school year. The new facility will have a maximum enrollment capacity of nine hundred students from kindergarten though the eighth grade. This is twice the current number of students at BFCCPS. The nine hundred student enrollment target will take time to be realized. It may be as long as ten years for the BFCCPS to reach that full nine hundred mark. For the 2019-2020 school year, the school plans to accept approximately three hundred additional students for kindergarten through grade five. This will increase enrollment from the current four hundred fifty to approximately seven hundred fifty students. It looks to be a beautiful school! 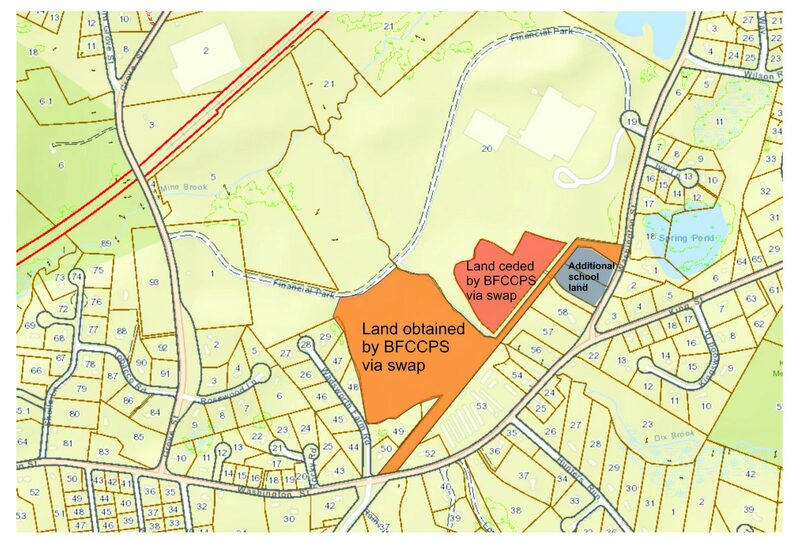 Through its not-for-profit corporation, the Benjamin Franklin Educational Foundation, Inc, the BFCCPS had ownership of land at the Financial Park since 2000. Plans for the new campus at that site were stymied because the parcel was legally landlocked – it lacked a right of access to any street or roadway. The problem was eventually resolved by a land swap between the Foundation and the owner of other land at the Financial Park. That creative solution is what has enabled the construction of both the new school campus and the new warehouse and office complex. 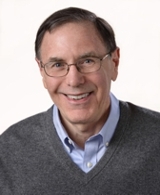 That’s a true win-win-win: for the two property owners and for the Franklin community as well!